You can never be armed with too much information when it comes to choosing car seats for your children. Click through to find out what this innovative brand has to offer in the way of safe travel for brand new babies, through to older children. When pregnant with my first child I was so overwhelmed with the car seat options, I simply asked our local baby store owner which car seat is the safest. Full stop. And without hesitation he led me to the Britax Safe-n-Sound section. I purchased a Safe-n-Sound capsule then and there, and when I became pregnant with my second child two years later, I knew exactly what to purchase. I’ve never regretted those purchases, in fact I’ve recommended Safe-n-Sound car seats to anyone who will listen. I believe a safe car seat is the most important purchase you can make as a new parent, so here’s the low down on what Britax has to offer. The Safe-n-Sound Compaq is a great option for those with smaller cars. It can be used for newborns, and will last until the child is four. It can be used rearward facing for babies from birth until they’re about twelve months old, or until their shoulders reach the Lower Shoulder Height Marker. It can then be used as a forward facing seat from about twelve months old until the child is four. The slim design makes it perfect for compact cars, where the front seats tend to be in close proximity to the rear seats. The safety of the seats comes from its deep side wings, which are really important for side impact protection. It also includes a layer that will absorb energy in a crash. The Compaq also has the Safe-n-Sound sliding retractable stabilising bar to prevent the child from coming in contact with the vehicle seat in a head-on crash (whilst in the rearward position). One of the clever features is the three recline positions, which includes an upright position, when the seat is in forward facing mode. It’s just awful watching a sleepy little head constantly rolling forward, so being able to recline the seat a little is a bonus on long trips. The Push Button adjusters in these seats are fantastic. If your child happens to be wearing something a little bulkier than usual, it’s so handy to just press the button and loosen the straps a fraction to ensure they fit correctly. If you’re starting off with a baby capsule (as I did) the next step in car seats is the Safe-n-Sound Maxi Rider AHR Easy Adjust. This model is suitable for children from six months through to eight years, and having purchased two of the previous models in this range, I can highly recommend them. It can be used in forward facing mode from six months through to four years using the in-built harness. It can then be used as a Booster Seat with a lap-sash seat belt or child harness and lap or lap sash seat belt – a child harness must be used in a position with a lap-only seat belt. 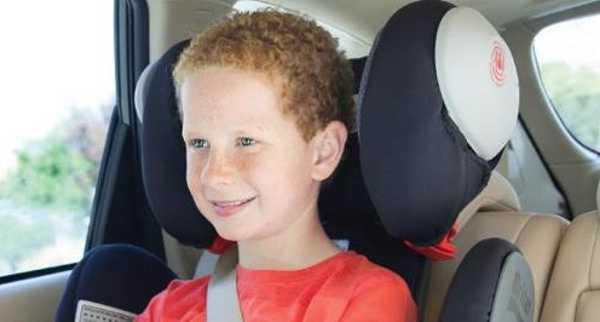 The latest version of this car seat has some nifty features that make adjusting a breeze, like the Easy Adjust Headrest, which means it can be adjusted when the seat is installed. Just by pulling a lever the shoulder straps can be repositioned. 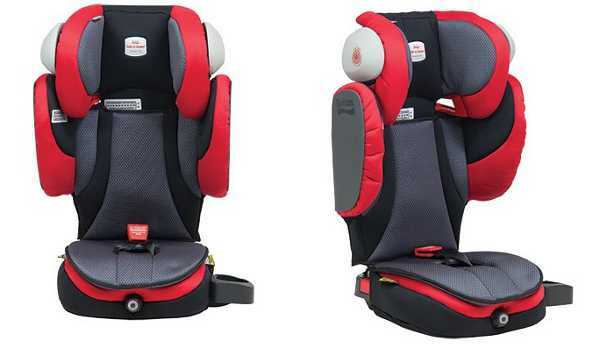 It also has a sanity-saving EZ-Buckle System which keeps the harness buckles from disappearing under little bottoms when children first get into the seat. 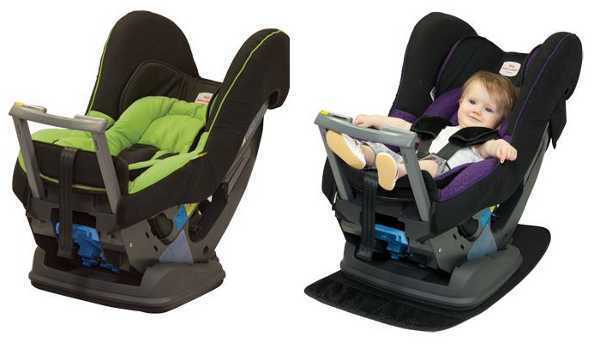 Safety-wise, in Booster seat mode the Safe-n-Sound Slideguard clip stops the child slumping and the lap belt rising. I must admit having purchased the Tilt And Adjust model of this seat, I’m very envious to discover this new version includes speakers in the headrest – my boys would adore this! But they are very happy with the two rotating cup holders and arm rests in their Safe-n-Sound car seats, which make them feel very grown-up. Britax also manufacture the Safe-n-Sound Encore 10, which is a booster for children from about four years old through to 10 years. 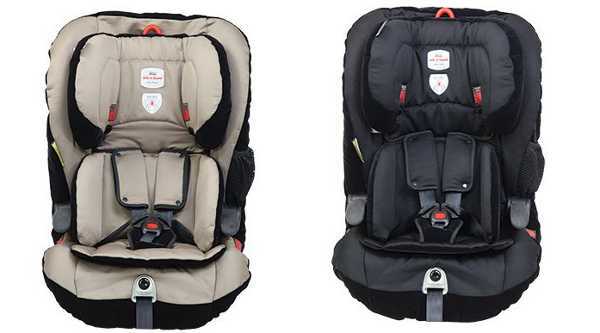 These car seats are also packed with safety features, including Side Impact Cushion Technology, which Britax says maximises head protection by reducing side impact forces. This seat also has Expandable Side Wings to provide some support when children fall asleep and tend to slump. The Expandable Seat grows with the child and can be extended a further 70mm in length. The seat also has nine height adjustments, and speakers in the headrest. Visit Britax to find your nearest retailer.